Thank you to all of you who supported our Fun Day last year. You helped us raise £577.50 for the Arthur Rank Hospice! 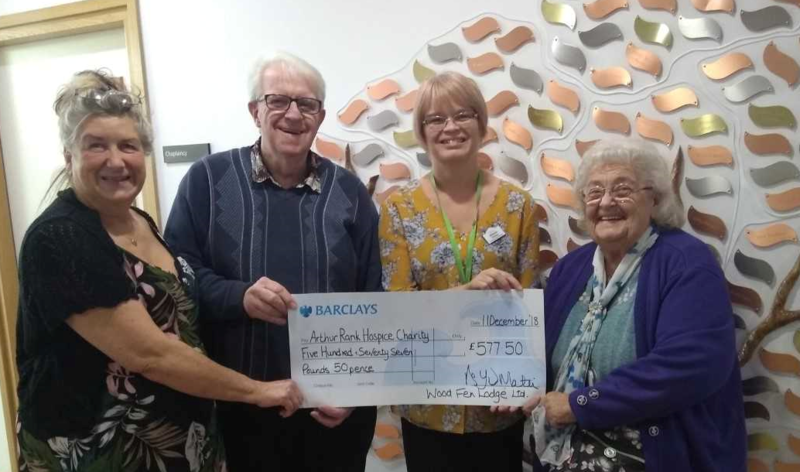 Pictured handing over the money is Yvonne (WFL), Big Ron T (our fabulous singer from the Fun Day) and Mary, his wife – who attends the hospice.